Dr. Edgar Mitchell was an Apollo 14 Astronaut and the sixth of twelve men to walk on the moon. He was the Chairman Emeritus of Eternea and had many other distinguished accomplishments during his long career (click for more information) . Dr. Mitchell was one of a three man crew on the Apollo 14 mission to the moon in 1971. Dr. Mitchell spent several years preparing for that trip in training and studying many NASA manuals developed for all the Apollo crews. As Dr. Mitchell liked to remind us, we are also crew members of a spaceship, but with a few major differences. Our spaceship is an incredibly complex but efficient system. It is self organizing, self repairing, self recycling, and one with huge but finite resources. It is one where all the parts are totally synergistic with each other. At least that’s how spaceship Earth has been operating for most of its history. When humankind’s numbers were smaller and before the advent our technological society, spaceship Earth operated just fine. We didn’t even need a manual or any training to insure that it did. Unfortunately, as Dr. Mitchell noted from his unique vantage point in deep space, it became obvious to him that humanity is increasingly putting our spaceship – our only home and all its inhabitants in harm’s way. This is due to the very things that have made us so successful as a species. Our recent explosive population growth and our newly discovered powerful technologies are coupled with antiquated values, inappropriate beliefs and incomplete knowledge and understanding of how spaceship Earth really works. This combination creates a very dangerous brew indeed. Dr. Mitchell was one of the few people on this planet who had the unique perspective, knowledge, and experience to see our spaceship as it really is and to reflect on its crew, how it operates and how we need to change to insure a sustainable future. 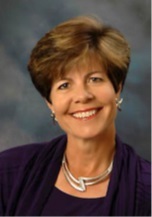 Virginia Hummel is an author and inspirational speaker on the subjects of Orbs and New Age Bereavement Healing. She currently serves as the chair of the Orb Encounters Committee of the Eternea STE Council. She has been a lifelong student of spiritual and metaphysical studies and most recently of the orb phenomenon. She has graciously donated a percentage of the profits from her new book Cracking The Grief Code to Eternea. As a featured Eternea speaker she has also donated the majority of her speaking and workshop fees to Eternea. . Her magnificent soon to be released book Cracking The Grief Code ranks at the top the best works on the subject of recovering from loss of any kind. It makes a very important contribution to both the professional and lay topical literature, so much so that it should be regarded as a superb seminal work. Whether one is suffering from the pain of losing a loved one to death, or the death of a pet, or the loss of a marriage or job, or experiencing emotional or psychological difficulties of any kind from one or more of life's challenging transitions, Cracking the Grief Code will be an enormous help and a terrific resource. We highly recommend this very well-written gem to all who seek healing after loss and those in the throes of anticipatory grief, knowing full well that a painful loss of one kind of another will eventually hit us sooner or later right where it hurts most - in our hearts, the inner recesses of our minds and the probing depths of our souls. Reading this book not only helps us recover from loss, enabling us to move forward again better than before, but prepares us to proactively manage loss that we expect to experience inevitably in our future during one or more of life's many vicissitudes. This marvelous work equips us to utilize loss in a positive productive manner as a teacher, a growth opportunity and a catalyst that can make us better than ever when viewed from the perspective Ms. Hummel provides for our enrichment. Virginia is available for speaking engagements through Eternea . For more information on Virginia or her book, please visit her website. Janis Heaphy Durham was born in Kalamazoo, Michigan in 1951 to a Presbyterian minister and his wife. The family moved to Ohio a few years later where she spent her childhood. She received her bachelor’s and master’s degrees in education from Miami University in Oxford, Ohio and taught junior high school English following graduation. Several years later, she moved west to Los Angeles in pursuit of a less conventional life. Feeling a deep-seated pull to newspapers, Janis applied for a job at the Los Angeles Times and was hired in the advertising department. During her 15 years there, she rose to senior vice president of advertising. In 1998 she was recruited by a headhunter in a nationwide search and named the first publisher in the history of the fabled Sacramento Bee, the flagship newspaper of the McClatchy Company. Responsible for all facets of the newspaper, including news and business operations, she was at the helm for a decade. During her tenure the Bee won two of the five Pulitzer Prizes awarded since it was founded in 1857. Janis retired in 2008 and lives between Idaho and Florida. The Hand on the Mirror is the story of an unusual personal journey. It begins with the untimely death of her husband Max in 2004 and follows with a series of otherworldly events that startled her at first, and then intrigued her. Ultimately her newspaper instincts kicked in and she decided to research whether or not our consciousness survives death. Simply put, she wanted to know if we continue on in another form after we die. Unfolding over eight years, this is the story of her spiritual and scientific journey into the unknown. For more information on Janis, please visit her website. For more information about her book click here. The Hand on the Mirror: A True Story of Life Beyond Death To read a book review on The Hand of the Mirror click here. Allen Johnson, Jr. has graciously donated 100% of the profits from his new book to Eternea: Bumbling Towards Nirvana: The Lighter Side Of Enlightenment!" Allen Johson Jr. was born and raised in Mountain Brook, Alabama. He graduated from the Lawrenceville School in 1954 and attended the University of Alabama. He served in an armored infantry scout platoon in Germany. He then received a degree in botany from the University of Miami. In 1976 he was elected to the Board of the Coca-Cola Bottling Company United and served for forty-one years earning the title Emeritus. Allen lived in Vermont for 23 years, where he wrote articles and freelanced. There he founded the Vermont State Craft Center, studied jazz guitar and produced guitar study material with noted jazz guitarist Barry Galbraith. Since 1993, Allen has been writing for children and has published ten books (two for adults). His upbringing in the south, deeply influence his writing style. His recent series Blackwater Novels transport readers to a simpler time in 1930’s south, when adventures were found just outside your front door. The novels help fill a void in today’s youth literature by providing engaging stories for young boys. In recent years, Allen has been able to combine his two great passions (writing and jazz guitar) by writing for Just Jazz Guitar Magazine. In July of 2007 he was privileged to produce the jazz album Remember Beauty, George Voland and Friends. Allen now lives on Mercer Island, Washington with his wife Jill, son Ben and two dogs – Piccolo and Sunshine. Ms Giesmann has recently been named as Chairman of Eternea's Spirituality Leadership Council and is generously donating a portion of her royalties from Wolf's Message to Eternea in support of her work. "I am humbled and honored by the ability to receive highly evidential communication from the non-physical dimension. Having had personal contact with thousands of discarnate souls has brought me to a place of knowing beyond doubt that consciousness exists at multiple levels of reality. Until others have such personal experience, my work gives them hope that this life is not all there is. It gives them hope that we continue on after death and that we will rejoin our loved ones who have passed. The messages I share give hope that this life has purpose and meaning. The teachings from higher consciousness which I convey give hope that we inhabit a universe where goodness and love are the basis of All That Is." Jim Robbins has written for the New York Times for more than 30 years, primarily on science and environmental issues. He has also written for a number of magazines, including Audubon, Conde Nast Traveler, Smithsonian, Vanity Fair, The London Sunday Times and Conservation, among others. He has covered environmental stories across the US and Canada, and in many far flung places including Mongolia, Mexico, Chile, Peru, the Yanomami Territory of Brazil, Norway, Sweden, Wales and Ireland. 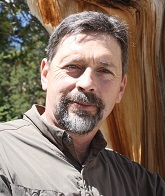 Jim's first book was Last Refuge; Environmental Showdown in the American West, was published in 1993 by William Morrow. In 2000 Grove Atlantic published A Symphony in the Brain, the Evolution of the New Brainwave Biofeedback. He is also the co-author of The Open Focus Brain: Harnessing the Power of Attention to Heal Mind and Body, published in 2007 by Shambhala Publications, about the critical and overlooked role that attention plays in our lives. And he is the co-author of Dissolving Pain, a 2010 book about the role of attention in pain, also published by Shambhala. He is at work on a new book about the future of birds in a changing world, to be published by Random House. remarkable story here Jim's most recent published book is called The Man Who Planted Trees, published by Random House. It is about the crisis in the world's forests caused by climate change. It recounts the poignant story of David Milarch and his moving near-death experience, soon to be released in paperback and the subject of a forthcoming documentary film. David's NDE involved a compelling vision of the future, which inspired him to embark on an urgent mission to harvest the genetic material of ancient champion trees for cloning and reforestation purposes. It is often said that many of the problems and issues currently confronting humanity are really problems in consciousness. Not understanding who we are and how we are all related to each other, to our planet and to all the creatures and plants that help sustain us. Jim Robbins is one such person who does understand these interconnections. Please view the wonderful teaser video introducing a soon to be released video documentary based on his recently published book: The Man Who Planted Trees. Gary E. Schwartz, Ph.D., serves Eternea as Chairman. He is currently Professor of Psychology, Medicine, Neurology, Psychiatry, and Surgery at the University of Arizona, Tucson. In addition to teaching courses on health and spiritual psychology, he is Director of the Laboratory for Advances in Consciousness and Health at the university; he also serves as Corporate Director of Development of Energy Healing at Canyon Ranch. A long-time researcher in the fields of consciousness, biofield science, and the afterlife, Dr. Schwartz has published over 450 scientific papers, co-edited eleven academic books, and authored six books including The Afterlife Experiments, The Sacred Promise: How Science is Discovering Spirit’s Collaboration with Us in our Daily Lives, and The Energy Healing Experiments. Dr. Schwartz has generously offered to donate 50% of the royalties from his newest book on "Synchronicities" (available this spring) to Eternea. Baruch HaLevi, aka “Rabbi B,” was ordained as a conservative rabbi through the American Jewish University, Ziegler School of Rabbinic Studies, and received his doctoral degree in ministry from the Graduate Theological Foundation. For fifteen years, Rabbi B, a motivational speaker and visionary, has served as a synagogue rabbi. He just released his newest book, Spark Seekers: Mourning with Meaning; Living with Light, as well as focus his efforts full time on his new business, Rabbi B Initiatives, which will include Spark Seeker Ventures offering innovative and inspirational ways to approach dying, death and surviving the loss of a loved one. Through Spark Seekers, co-authored with Ellen Frankel, LCSW, Rabbi B shares new perspectives on grief and loss, as well as valuable and practical insights spanning different religions and spiritual traditions, for anyone seeking to emerge from death's darkness into life's light with meaaning, purpose and inspiration. "Spark Seekers is the perfect companion to accompany mourners on their grief journey. Written with insight and compassion, this book will provide solace to countless readers searching for meaning and hope after loss of a loved one"
Mindy Miralia is a pioneer and adventurer, catalyst and change agent, passionate about helping people find meaning in their lives and experience personal transformation. Early in her career, she paved the way for women in international business, working in Singapore, India, Southeast Asia, China, and the United Arab Emirates. She brings that same spirit of entrepreneurship to her work today. When he was a teenager, Mindy's son became involved with drugs. Despite attempts for over a decade to heal and recover, he committed suicide in 2011 after a long struggle with heroin addiction. After he died, Mindy began a fascinating and transformational journey of healing with her son—across the veil. Her experiences are discussed in her new book, The Hero in Heroin, and their mutual path to transformation serves as an illustration for the soul work she facilitates today. Her vision is to help bring healing to a new level through conscious evolutionary development. For some, the evidence from across the veil will offer comfort that there is indeed an “afterlife” or continuity of souls, and that even after the transition from earthly life, healing can continue. For others, the guidance and actual tools for healing that Mindy experienced and developed will inspire. What is sure is that this book will open your heart and invite a greater understanding of your own journey and healing in this lifetime. An updated listing of workshops and talks by speakers and workshop leaders on subjects of spirituality and consciousness are listed on the Eternea Events page. Click here for a complete listing of events. To book a speaker, click here .